The Signman wraps a truck using secret techniques known only in the sign world ! Can you name the secret technique the Signman is using? 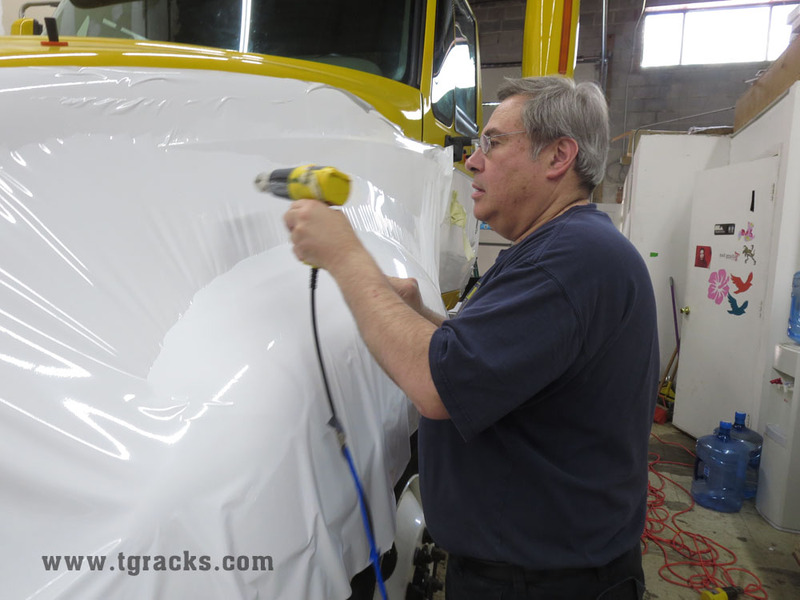 The Signman wraps a truck using secret techniques known only in the sign world !